Chef Mitchie Curran of Mitchies Munchies has sent us this contribution for these amazing CakePlay Flowers! 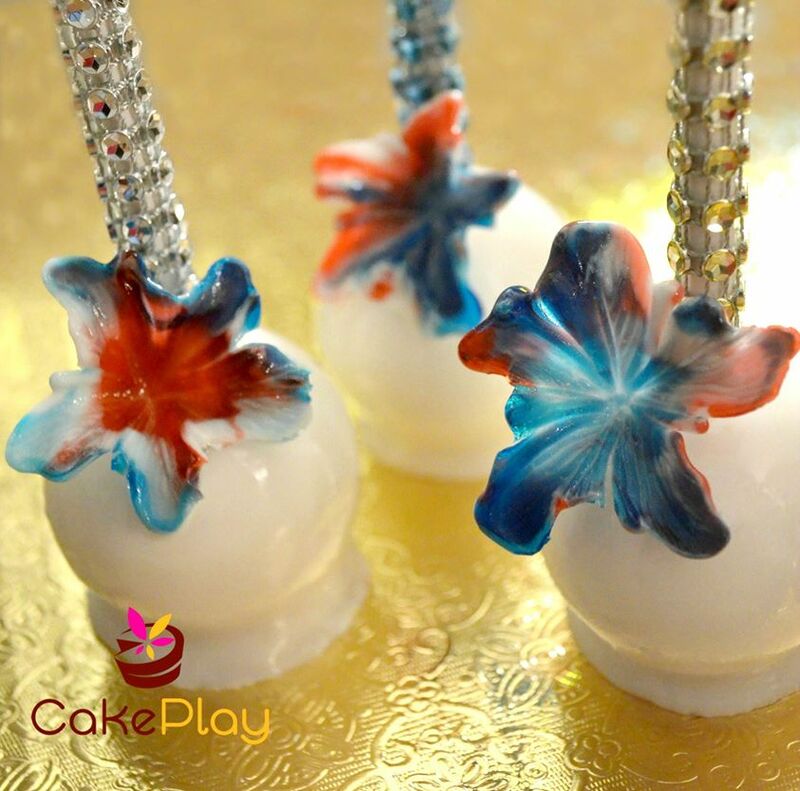 Take a look at this fun little video to see how to form these flowers from the Isomalt nibs, that is the first step! 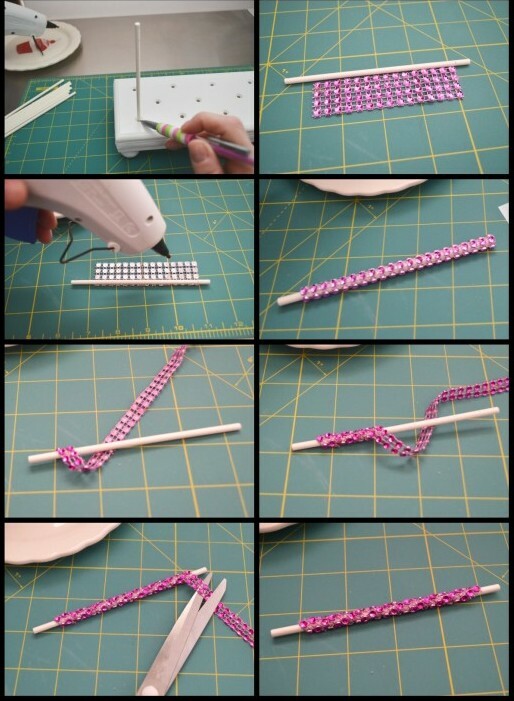 You can buy “Bling Sticks” but in a pinch you can easily make them from the Bling ribbon and a little glue! Check out this Pic-Tutorial! You can also do that part by hand as well. 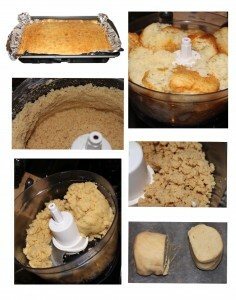 To get started just add a few TBS of frosting to help move the process along! 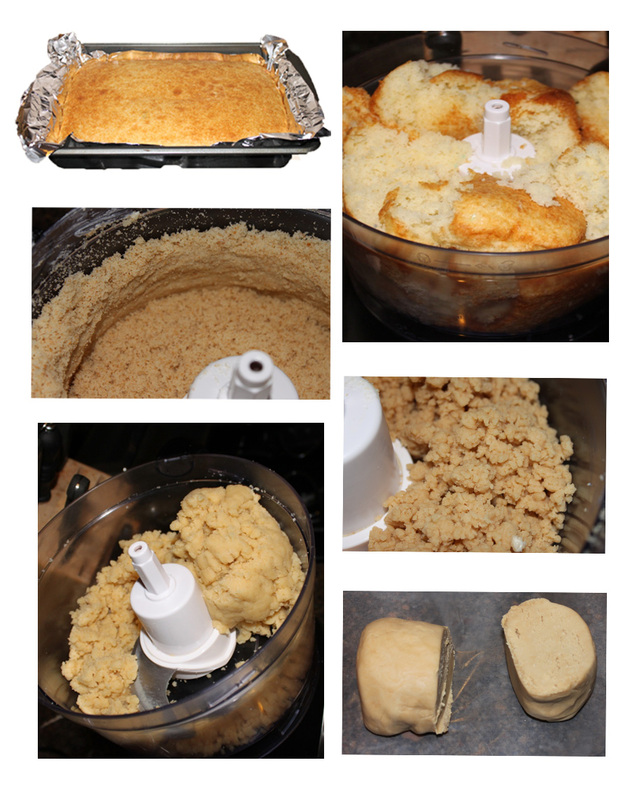 (In the mixer or food processor the frosting/binding agent is completely optional as it will turn into dough all by itself! Next you will roll the dough you just made into balls! I like them all the same size/ shape so I use the Easy Roller or New Mini Easy Roller (of course). It will make the cake balls (or cookies …heck even meatballs) all 1.25 inches in diameter, about the size of a ping pong ball! The Easy Roller Rolls 21 at once and the New “Mini” will roll 9! Here is the Mini in Action! Next you will melt your white candy melts or almond bark on 50% power for 1 minute. Take it out of the microwave and stir it. If it is not 90% liquid pop it back in on 50% power for additional 30 second increments until it is almost completely melted. Then stir till all the candy lumps have been melted. Dip your cake pop stick into the candy melts and then into the cake ball. Then submerge the cake pop all the way into the candy melts and tap off any excess and place on a piece of wax paper. As it sets place the Isomalt flower right on top. As the candy melts set it will “glue” it into place! If you like the tutorial don’t forget to check out and share our Easy Roller or new Mini Easy Roller with your coworkers, friends and family! It is how we keep these tutorials coming:)!